The models of interior doors we offer are over 18 in 16 color combinations. 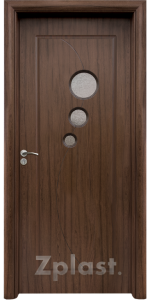 This model interior door is made of 6 mm HDF panels, frame from solid coniferous wood and ribbing. 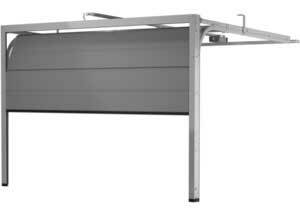 HDF panels have higher density, strength, durability, noise and heat insulation than the MDF panels. The door is thick like model: 033, but without a glass. Sash dimensions: 60/70/80 cm, height 201 cm with the possibility of correction. 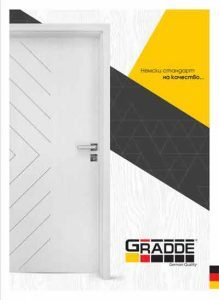 The price includes: rounded edges capable to cover a wall up to 39 cm, fitting, inox handles, lock, lock cylinder with three keys, metal striking plate, rubber gaskets. 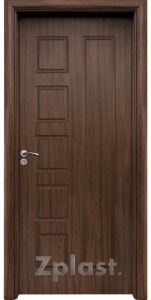 This model interior door is made of 6 mm HDF panels, frame from solid coniferous wood and ribbing. HDF panels have higher density, strength, durability, noise and heat insulation than the MDF panels. The door comes with embossed glass. 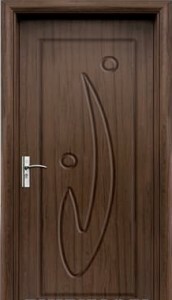 Size of door with frame: 68/78/88 cm. 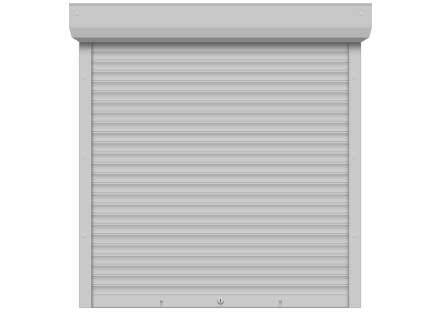 The price includes: rounded edges capable of a wall up to 39 cm, fitting, inox handles, lock, lock cylinder with three keys, metal striking plate, rubber gaskets. 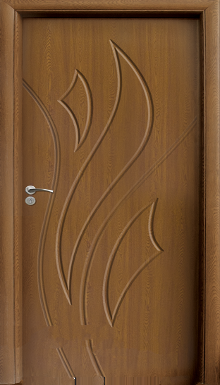 This model interior door is made of 6 mm HDF panels, frame from solid coniferous wood and ribbing. 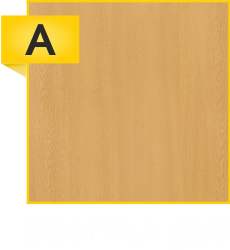 HDF panels have higher density, strength, durability, noise and heat insulation than the MDF panels. The door is thick like model: 070, but without a glass. 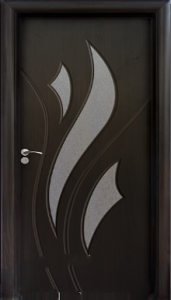 The door is made of 6 mm HDF panels, glass is patterned. Sash dimensions: 70/80 cm, height 197 cm/ possibility of correcting the height/. Dimensions of the door frame – 78/88 cm, height 201 cm/possibility of correcting the height/. 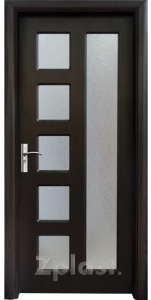 The price includes: sills, fitting, inox handles, lock, lock cylinder with three keys, metal striking plate, rubber gaskets. 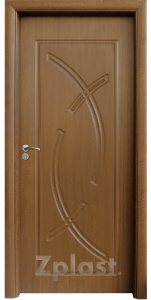 PRICE: 234.00 BGN /the price is for interior door with round frame for wall from 7 to 9 cm/ and round frame for a wall of 10-13 cm/. The price does not include installation. – round frame from 8 to 19 cm /with possibility up to 39 cm/. 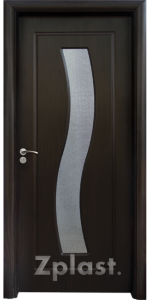 /the price is for interior door with round frame for wall from 7 to 9 cm/ and round frame for a wall of 10-13 cm/. The price does not include installation. 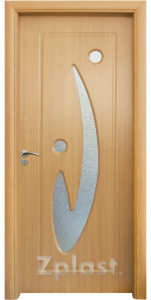 The door is made of 6 mm HDF panels, glass is patterned. 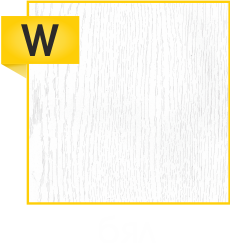 Sash dimensions: 60/70/80 cm, height 200 cm/ possibility of correctin/g the height/. 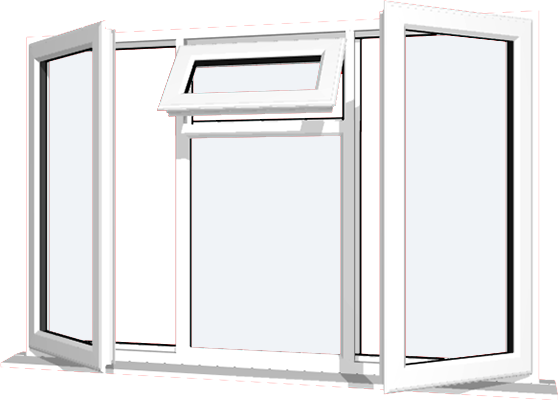 Dimensions of the door frame – 68/78/88 cm, height 204 cm/possibility of correcting the height/. – frame from 8 to 19 cm /with possibility up to 39 cm/. 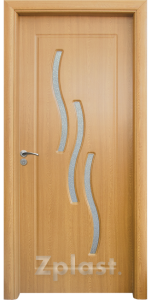 The door is made of 6 mm HDF panels, glass is patterned. Sash dimensions: 60/70/80 cm, height 200 cm/ possibility of correcting the height/. 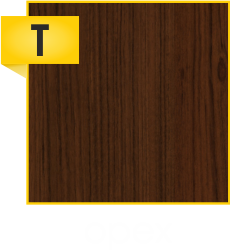 Dimensions of the door frame – 68/78/88 cm, height 204 cm/possibility of correcting the height/. 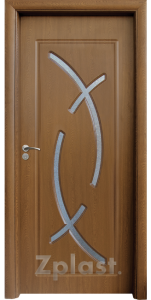 This model interior door is made of 6 mm HDF panels, frame from solid coniferous wood and HDF ribbing. The door is solid, like model 056, but without the glass. Sash dimensions: 60/70/80 cm, height 201 cm with the possibility of correction. The offered frames can be: round frame with possibility up to 39 cm. This model interior door is made of 6 mm HDF panels, frame from solid coniferous wood and HDF ribbing. The door is solid, like model 048, but without the glass. Sash dimensions: 70/80 cm, height 201 cm with the possibility of correction. 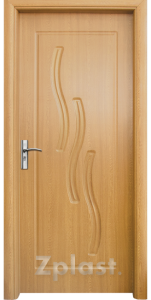 This model interior door is made of 6 mm HDF panels, frame from solid coniferous wood and HDF ribbing. The door is solid, like model 014, but without the glass. Sash dimensions: 60/70 cm, height 201 cm with the possibility of correction. 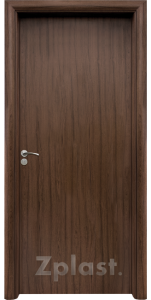 All doors can be ordered in all four colours/light oak, wenge, golden oak, walnut/. Only models 048, 056, 030, 048 P and 056 P are offered in white.